Get a list of tools needed to make taiko drums, including products we purchase and where to get them. In this section, we will also explain how we create the template used to cut the skin and how to build the stretching stand. Here we will explain the gluing, sanding, biscuiting, and rim forming processes. Steps for staining and finishing are covered, as well as the interior dimpling or carving and repairs to any defects. Information will be presented on stretching the skin, from cutting the half hide, to soaking, head forming and then the final stretch, including our roping and tacking procedures. 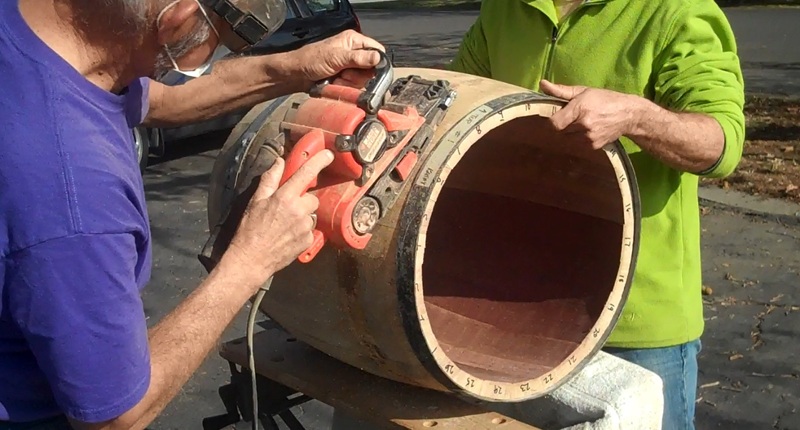 We are hobbyists helping other hobbyists make taiko drums. 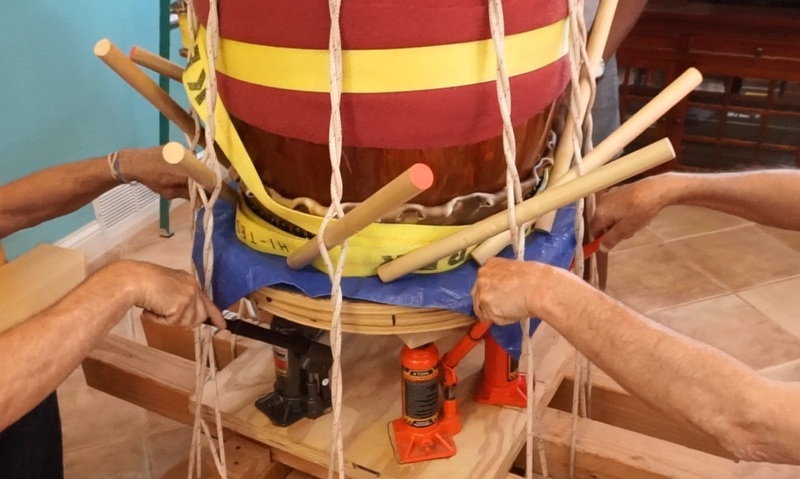 Our hope is that by sharing details of our process, other Taiko players can make their own drums and learn from our experiences. 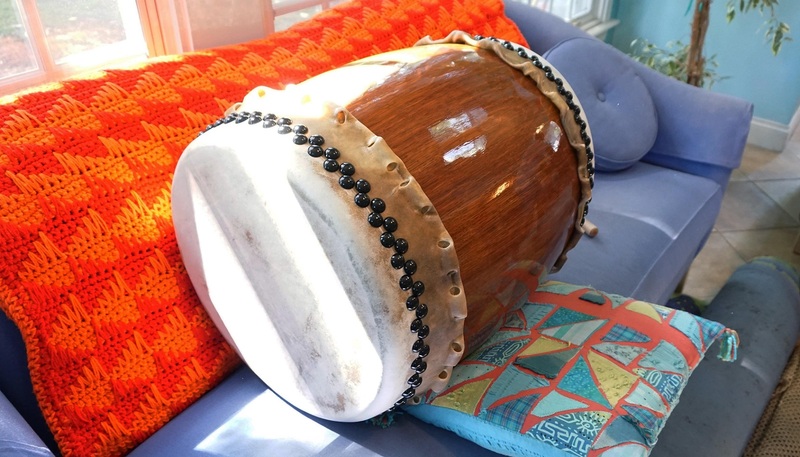 We developed this material to share with the Taiko community so that if someone is thinking of making a drum, they can get an overview of what is involved to understand the commitment, costs, and decide whether making a drum is practical or not. Happy Drumming!